On our recent trip to Walt Disney World we were lucky enough to have rented a stroller from Kingdom Strollers. I am so glad we did this! We rented a City Mini with a rain cover and glider board. The stroller was delivered to our resort on time (actually earlier than expected) and was ready and waiting for us upon our arrival. 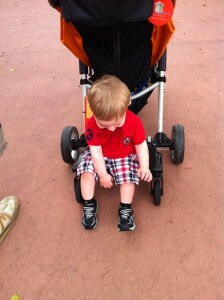 Since our room was not yet ready we were able to strap our little guy in and head out to tour Epcot with zero hassle. We loved the glider board! It gave us the extra option to let him stand if he got sick of sitting! The stroller was clean and 100 percent easy to use. It folded with one hand and was really light which made boarding buses and boats a breeze! 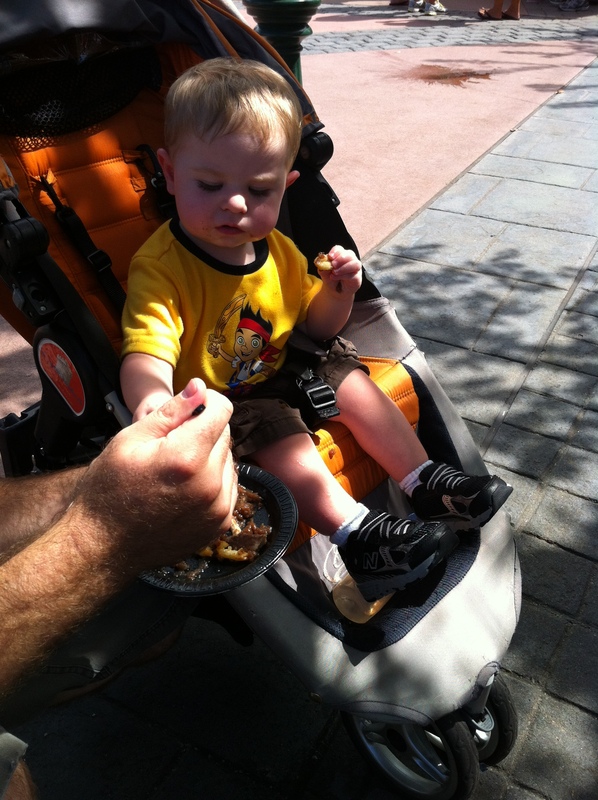 The canopy on the stroller provided plenty of shade and it was very comfortable for our son. He was able to nap in it easily and we could adjust the backboard to let him recline if needed. The steering was also superior and getting around crowds was a non issue. The prices were extremely fair- about $65 for a week! I would without hesitation, rent from Kingdom Strollers again! This entry was posted in Planning Tips, Uncategorized. Bookmark the permalink.